If you missed the first half of the 14th annual Oregon Truffle Festival in Eugene, Jan. 24–27, don’t fret. The fungi fun continues in the Willamette Valley, but a bit farther north. The Yamhill Valley Wine Country Weekend, Feb. 15–17, offers a variety of activities. 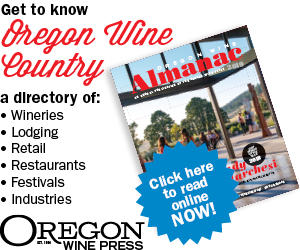 The romantic, culinary-focused three-day celebration will highlight the shared terroir of Oregon wine and truffles, beginning with Fruit and Earth, a pairing featuring Willamette Valley wines and thoughtfully paired truffled bites at the Chehalem Cultural Center in Newberg. In addition, a panel discussion on pairing truffles and wine will be led by James Beard Foundation Award-winning chef Cory Schreiber. For weekend ticketholders, the pairing is followed by an intimate wine country dinner at Soter Vineyards prepared by winery chef Alex Daley. On Saturday, Feb. 16, weekend guests will join professional truffle hunters for a morning truffle excursion, followed by indulgent winery luncheons prepared by chefs Jason French of Ned Ludd, and Mike Delaney. A rosé release and four-course dinner at Domaine Serene with James Beard-honored chefs will bookend the day. On Sunday, the celebration presents a new event: Truffles and Bubbles Brunch at Anne Amie Vineyards outside Carlton. The weekend will close with a festival favorite, the Newberg Fresh Truffle Marketplace, which unites regional wines, artisan foods and fresh, local truffles, and two Sunday Suppers, one at Lady Hill Winery in St. Paul, the second at The Joel Palmer House in Dayton. 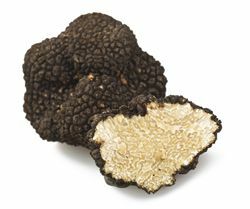 For more information and ticket availability, visit oregontrufflefestival.org.